Provisions; God's Promise and Plan; Pattern for the Tabernacle; Priest, God's Presence and the Promised Land. In this study students learn how the Old Testament is fulfilled in the New Testament. As they study the Passover in Exodus 12, they will understand that Jesus is the "Lamb of God who takes away the sins of the world." Commandments can be used as an "Examination of Conscience." 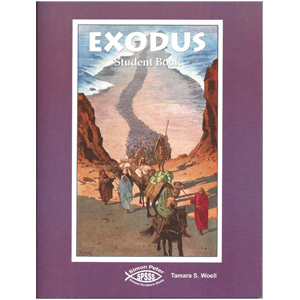 This study is a wonderful supplement for 6th - 8th grader Religion Curriculum. Great for the classroom or home study!